Would any of the following questions relate to your present situation? Why do Doctors, Specialists and others work with Pranic Techniques? To be pain free and lead a normal active lifestyle? To have fulfilment and greater happiness? To not be stagnant, frustrated, held back with decision making? To not feel stressed and have anxiety? To make headway with your business, career, financial status? To find the right relationship partner? Improve your performance in sports? To have the benefits of personal power? To develop your spiritual path? My intention and focus is to help people with health and problem issues to achieve a better life for themselves. I work from the heart helping you overcome the areas that are preventing you from moving forward. As a Natural Health Practitioner working on all aspects of the body, mind and spirit, fears, emotions, health concerns, relationships, finance, business, pets and more are addressed. Thoughts and feelings play a huge part in a person’s well-being which can influence greatly within the system of the body creating disease or dis-ease. By attending to these the body can heal. 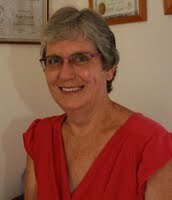 Since 1999 I have worked from home in a quiet friendly atmosphere in a caring passionate way with the holistic approach working on many levels. By working from home I am able to meet the needs of clients in times that suit both parties as it is not always convenient to keep the 9-5 office hours. I also travel away for consultations and work with Skype. A full consultation takes place on the first visit and the appropriate therapy is then applied ensuring the best healing. What Is Pranic Healing Applications? Disease and ailments are listed below, if yours is not on the list please contact me and I will endeavour to help. Others – Infertility, PMS, ADD, Migraines, Headaches, Diabetes, Hyper/Hypo Thyroidism, Anaemia, Cysts, Parkinson’s, Varicose Veins, Hair Loss, Meningitis, Mental Retardation, Toothache, Depression, Phobias, Fears, Stress, Anxiety, Traumas, Addictions, Ulcers. I had a fantastic time during the pranic course, all the new information was very exciting to learn and I feel very inspired. Faye is a wonderful caring very genuine person and I would recommend her courses to anyone interested in healing. Can't wait to use all the pranic techniques I have learned. Many Thanks. Jessica N.
I enjoyed this two day course and saw a lot of similar things we do in healing in the Maori world. Ways that have been passed down by our ancestors, working with the mauri or the prana as I have learned now what prana is. So many ways are the same. I loved working with the crystal wand and look forward to getting to know my crystal well and doing energy work, light work and mauri work . Tihei Mauri Ora! Mikaere Peck.